Posted 15 November 2017 by Sam Brickley & filed under Articles, Business, Design, Marketing, Money. Investing in property can be a great way to get to essentially start your own business and get things moving in a big way. There are a number of options here that are interesting, exciting and of course, profitable to consider. You don’t have to invest in property a couple of blocks away or property that is even in the same country or region. You certainly don’t have to let out, you could buy and then sell on almost immediately. But you do need to know what you’re doing. You do need to take the right steps and ensure that you don’t make any massive mistakes when you’re investing in property. Particularly when you’re using it as a way to build up a business investment. So, let’s start by thinking about money because if you’re investing in property, you’re going to need a lot of cash to spend. Getting your finance for property investments won’t always be easy because it’s always going to be a massive risk and the fact is that you probably don’t have the level of money that we’re talking about in your bank account. What you need to consider here is taking out a portfolio loan. Bare in mind that a portfolio loan is not a typical lending option, it’s somewhat different. You can learn more about this type of loan on https://www.mortgage101.com/article/. When you take out a portfolio loan, you will need to provide evidence that you are a solid investment possibility. That you will be able to pay the money back. This doesn’t necessarily mean that you need to have massive amounts of other previous projects that have paid off. You just need a decent history of borrowing and getting the money back that you owe on time. Essentially, you need a credit score that is decent enough that you won’t have people wondering whether you might not give the loan back. It is also worth pointing out that getting approval for a portfolio loan can take time. It won’t be instant, and you could be waiting at least a few months for approval. What does this mean? Well, don’t make commitments to buying a property until you’re sure the loan is going to come through. An alternative option to consider would be investing as a group with multiple people bringing the money together. This would alleviate the pressure on your finances and the difficulty you might have putting the money together. You just need to make sure that everyone involved in the investment can be considered both trustworthy and reliable. As already pointed out, you don’t have to invest in property close or indeed in your local area. You can invest in property wherever you want and before we get into the challenges of doing this, let’s look at some of the advantages. First, it can definitely be cheaper. That’s not just because of the exchange rates but also because of the state of the property market. In some places, property is just far less expensive as you can see on sites like https://rumahdijual.com/surabaya/perumahan. 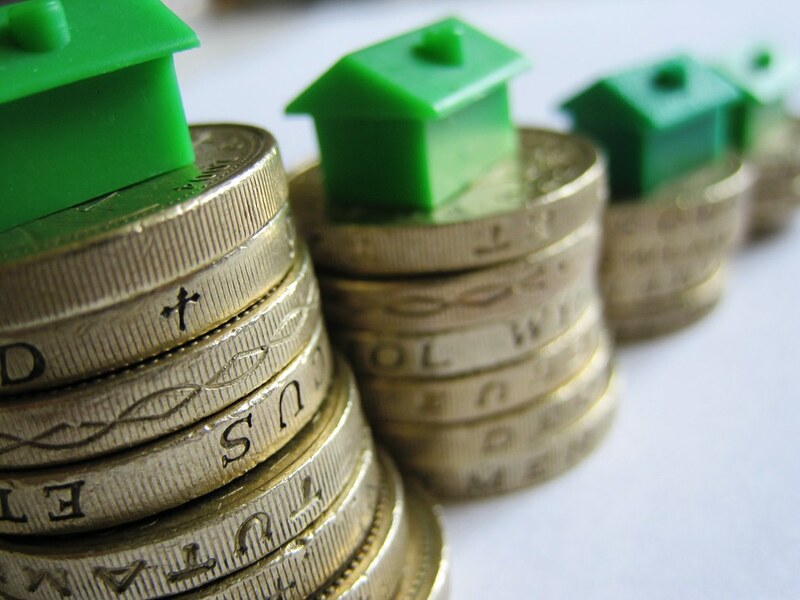 Houses, apartments and even full tower blocks and can be a lot cheaper in certain regions to invest in. Or, how about America compared to Britain? Long before Brexit British people used to love investing in properties in America like holiday homes. Why? Thanks to the favourable exchange rates, these properties were dirt cheap. You could buy a home four times the size of a property on the market for a quarter of a typical home in the UK. There are other benefits too. You might find that different locations have more lenient options on taxation. As such, you can save on one of the greatest expenses for property owners and ensure that it does not cause your bills to climb through the ceiling. As for issues, there are a few. First, you do need to make sure that when you’re looking for properties in overseas locations, that you are using reliable and trustworthy resources. It’s not uncommon for real estate agents in international locations to take advantage of buyers from outside of the country. They know that you won’t be able to check the properties out for yourself every time and may have very little knowledge of the type of bills and prices that you should expect. Then there’s the issue with maintaining and working on the property. Whether you’re selling or letting, you will need to arrange for the property to be kept in good order. Remember, as the owner it’s your responsibility to maintain health and safety levels. Particularly, if you are letting it out. If you do buy a property in a far-off location, there’s only one solution here. You need to hire a management team. They’ll handle everything for you, and you’ll find the business investment is a rather hands-off affair. Investing in property is always going to be a risk. There’s no way around that but you can, if you’re careful, avoid a complete disaster. There are various ways to do this, but arguably one of the best would be to make sure you are getting the property inspected thoroughly. A good inspection will reveal most of the issues with a building before they create headaches for you as an investor. There are many areas to watch out for here. Structural problems, shot pipes and issues with the previous flooding are all danger signs, particularly if you are buying or investing in an older building. Typically investors look for properties that need work but can be fixed, and it could be harder than you think to guarantee this is the case. Unless you are doing everything you can to check the building out before you buy. Of course, once you do invest in the property, all your attention should turn towards marketing in a big way. It’s crucial that you look at the property and figure out ways to make it attractive for buyers and tenants. There are a few areas to focus on here. Curb appeal is a big one. If you are investing in an apartment, you do need to make sure that the outside of the building looks absolutely fantastic. You might not think this matters. You might believe that buyers only care about what’s inside. If you make the mistake of investing in a tower block that looks like a slump, you’ll soon discover this is not the case. Of course, you do need to make sure that the interior looks fantastic as well. This is all about furnishing, and we know what you’re thinking. Wait, if I’m selling furnishing won’t matter because it won’t be included in the sale. While technically true, it could still be enough to convince buyers to invest. Remember, you’re selling what the building could be not what it is. If you show them an empty room, that’s all they are going to see. Particularly, if you are renting the property out to tenants. As well as that, you need to get the pictures right. The right pictures could make all the difference when you’re just trying to get people to come and see the building. Take a look at this http://wearesophoto.com/5-tips-for-better-real-estate-photography/ for advice on taking the right pictures of a property. As you can see then, there’s a lot to think about when investing in property on the market. You need to make sure that you’re making the right decisions and taking the correct steps here otherwise you can end up in a mess. On the other hand, if you do make the decisions, you could find investing in property as a business investment in one of the best decisions you have ever made.